Santa Claus is a Christmas character, characterized by being an old man with a pronounced belly, dressed in red and with a thick white beard, who distributes gifts to children who have behaved well throughout the year. The origin of this figure dates back to the third and fourth centuries, especially to the figure of Nicolás de Bari in Turkey. He came from a very rich and religious family, which, on the side of his father, encouraged him to become a merchant in the Adriatic Sea; on the other, that of his mother, urged him to be a priest, following in the footsteps of his uncle, who was a bishop. Vocational doubt followed him until the plague devastated the city in which he lived and killed his parents, who got infected by helping the most affected. Seeing this, Nicolás de Bari decided on the ecclesiastical path. So he gave all his riches to the victims and went to Mira, where his uncle lived, to become a priest. It is said that Nicolás de Bari, after being ordained as a priest at the age of 19, cured a group of children who had been stabbed by a criminal and gave a father enough money so that his daughter could have a good dowry and get married. For these and other miracles, Nicolás de Bari was appointed Patron of the sailors and children. He is also considered a saint in Greece, Turkey, France and Russia. Quickly, the Festival of San Nicolás, known as Sinterklaas , celebrated on December 5 and 6 began to be celebrated in Holland, Switzerland, Austria, Czech Republic, Luxembourg, Germany and Poland . In this, gifts and coins were given to poor children. In 1624, the immigrants of Dutch origin who founded New Amsterdam, which would become the current city of New York, brought the festivity with them. So this was usually celebrated in this area of ​​the United States. By 1809, the name Sinterklass, with which San Nicolás de Bari was called , became Santa Claus, because the author Washington Irving, seeking to reflect the way it was pronounced in the United States , put it in his bookHistory of New York . In 1823, Clement Clarke Moore would add to Santa Claus, in his poem A Visit From St. Nicholas , the sleigh pulled by reindeer; it would also introduce the Rudolph reindeer, characteristic for its red nose. In 1863, the German Thomas Nast would draw a flabby and bearded Santa Claus in his Harper's Weekly cartoons. For these same dates, Santa Claus and the French Bonhomme Noël would come together in a single character in red clothes, sometimes called Santa Claus . In addition, due to a commercial in the United States developed by the Lomen Company, it would be added to the mythical being a house in the North Pole, where he lived and manufactured toys given. And in the next century, thanks to a Coca-Cola commercialof 1931, the image that had been constructed so far became more friendly and was spread around the world. While it is true that this character has been the result of cultural syncretism, and is inscribed in a holiday also characterized by the merger of different beliefs, such as Roman Saturnalia and Celtic festivals, have been presented in different parts of the world opponents claiming that violates the traditions of these places. For example: in the Czech Republic and in Austria the character was attacked arguing that he was trying to replace the tradition of the Child Jesus. On the other hand, in Germany a criticism was presented to Santa Claus, led by Bettina Schade, who promulgated that it was against the tradition of San Nicolás and its spiritual values. The truth is that in the twentieth century, the image was submerged in the commercial world and acquired capitalist connotations. Currently, it is said that Santa Claus has a wife with whom he lives in the North Pole. Here you have a toy factory in which goblins or small harlequins work. It is tradition that children write to Santa Claus a letter with what they want and put it on the Christmas tree. Thus, the factory does what is requested in the letter. Once the gifts are made, they are transported by Santa Claus himself in his flying sleigh pulled by reindeer. 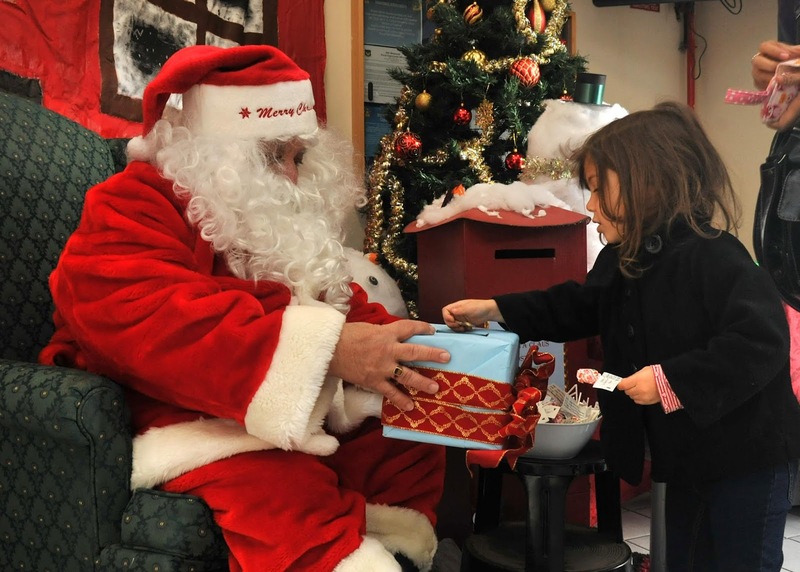 Santa Claus, with a list of children and gifts, visits each home, entering through the fireplace and depositing the gift under the Christmas tree. It is also customary to have a glass of milk and a plate of cookies on the night of December 24th. The gifts are then received by children who have behaved well all year, but those who do not, receive only charcoal.